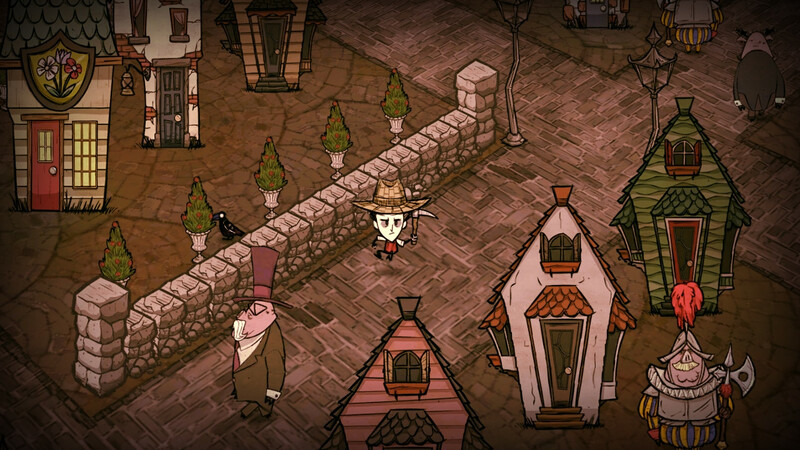 All You Can Meat: Klei Reveals ‘Don’t Starve: Hamlet’ and ‘Don’t Starve Together’… Events? Chances are this upcoming expansion will be a nice change of pace for several reasons, too: not only will players be able to go spelunking, exploring ancient pig ruins for – hopefully – glorious treasure, but… an entire town also awaits! A town of porky pigs. Oink? Yeah. Right. Anyway, “pig shops, houses, new items, biomes” are just some of the things we can expect from that place. That bacon-y town of delicious meat. And now I’m wondering if there’s any way, at all, to go on a tiny slaughter spree in Don’t Starve: Hamlet. Something’s wrong with me. I blame the many hours spent as Wilson, in-game. In Don’t Starve: Hamlet, Wilson discovers a lost town of aristocratic Pigmen nestled within a foreboding tropical jungle. On top of that, how about some multiplayer additions? Because in that same post, Klei also revealed an upcoming expansion – which, unlike Don’t Starve: Hamlet, will be free – in the form of “limited-time play modes”. Intriguing, eh? The first of these, which will be arriving this November, is The Forge – an arena in which up to six players take on the “Grand Forge Boarrior” (wait, what?). New creatures, character traits, weapons, armor, etc. ensure even the most seasoned Don’t Starve Together players should find plenty challenge in these… event thingies. And because revealing two rather sizeable content additions at once isn’t awesome enough, Klei also detailed – however briefly – upcoming Don’t Starve: Shipwrecked features. These involve fun things like the ability to (finally) build your base at sea, create fish farms and such, alongside a slew of new craftables. How about an Encrusted Boat? Yup. Oh, and it’s all available for pre-release testing through the beta branch on Steam. Neat. Don’t Starve: Hamlet will be available from Steam in early 2018, carrying a TBD price tag.